After seeing the quicklook on Giant Bomb and realizing that current gen consoles aren’t region locked, I immediately went over to Solaris Japan and ordered a copy of Puyo Puyo Tetris from Japan. 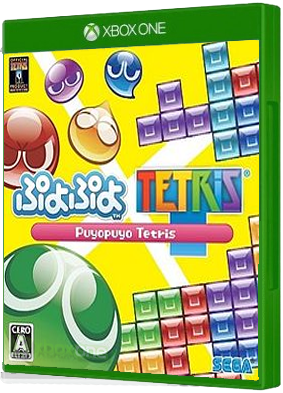 As many were, I was a bit underwhelmed by the recent release of Tetris Ultimate here in the states, but was immediately sold once I saw the Japanese game. The game offers a unique style (very Japan) and a twist on the gameplay with the Puyo Puyo integration. If you don’t know anything about Puyo Puyo, I invite you to check out Giant Bomb’s quick look, it’s quite entertaining! Can’t wait to play it after it arrives! I had never imported any video game before, but Solaris Japan made it quick and easy. I was able to pay using PayPal, and after selecting the quickest shipping option the total came out to just over $60 which seems pretty reasonable. The game shipped quickly (the day after I ordered it I believe) and everything has gone smoothly so far. It’s scheduled for delivery tomorrow by DHL, so hopefully I’ll be able to pop it in and give it a try before heading into work tomorrow night. This entry was posted in Video Games and tagged Giant Bomb, import, Puyo Puyo, Puyo Puyo Tetris, solaris Japan, Tetris Ultimate, Xbox One. Bookmark the permalink.